Ma’heo’o means Great Spirit, Great One or God. It is Cheyenne, Native American language. This system will combine the elements of Earth, Air, Water and Fire with the Great Spirit to effectively promote and activate healing in the human condition. It is both simple and powerful and can be used by anyone. There are five symbols with this system. This system works with the elements and enables us to connect with and channel Mother Earth’s energy. 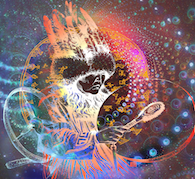 Combined with and activated by Great Spirit this becomes a very powerful system. It uses light and color, higher intellect, groundedness, promotes calming, peace and relaxation. Ma’heo’o Reiki combines the gentleness of Reiki with the raw power of the Earth elements. It can bring you into contact with your spirit totems, give you your sacred name and balance your body with the 5 elements. The symbols allow you to have a better connected through Mother Earth. Ma’heo’o Reiki involves three attunements. The first two are to enable a better connection and a heightened sense of the elements of Mother Earth. The symbols allow harmony of Mother Earth as they relate to the human condition. The third is the Master Level that connects you with Great Spirit, enabling you to harness the power of Earth and Spirit to effectively use the light as it facilitates, promotes and activates your healing from within. There is a 36 hour waiting period between the first and second attunements. Level 1 may be received either in real time or by chi ball. Levels 2 and 3 are sent by chi ball. You will learn some history of healing, some Native American Spirituality and how to properly circulate energy through your light body. By using this system, you can enable healing to begin for all things, human, animal, plant, soil, water, bugs, environment, Universe, etc. Methods are covered to help you focus on breath and increase awareness. The chakra and nadi systems are explained and you will learn the energy flow with awareness techniques. You will learning new exercises to bring in more energy, activate and work with your hand chakras and your crown chakra, as well as doing a healing session and a distant healing session. The breath techniques of Psychic Breathing and Chakra Breathing are explained and you will learn the Ma’heo’o Sacred Circuit Technique. You will be attuned to five symbols and learn the hand positions for healing both yourself and others. This is the Master Teacher level. The manual walks you through the attunement process and teaches you about passing this system both in person and at a distance. You will only receive the Level 3 attunement if you are a Reiki Master Teacher and will be attuning others. In Ma’heo’o Reik the Reiki energy harmonizes with the frequency of Mother Earth to work in accordance with Native American tradition. It contains a variety of techniques to improve and enrich your life. There are no prior requirements to learning Ma’heo’o Reiki. It can be taught to anyone, including children. Prerequisite: You must be a Reiki Master Teacher to teach and attune others in this system.